Posters | SG Printing Inc. When you have a special event or new product you can make sure people know all the details using a creative design or photo. SG Printing can produce a variety of sizes of posters including leave behind small versions for sales staff to drop off. Our posters look great in a frame or simply hanging on a wall. Use them for presentations, advertising or to show off your specials. 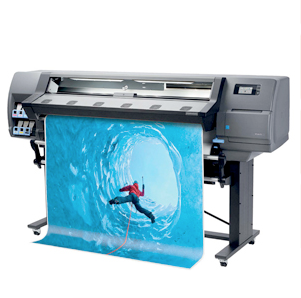 With our Eco latex ink HP wide format printer we can rush print your poster the same day. Available in any custom sizes up to 60 inches wide by any length.